Ruby Blanc's Brooklyn White Jar Candle is a beautiful way to say thank you to your guests. This rose scented candle is known for it's long burning time and the warm, relaxing atmospheres it creates. 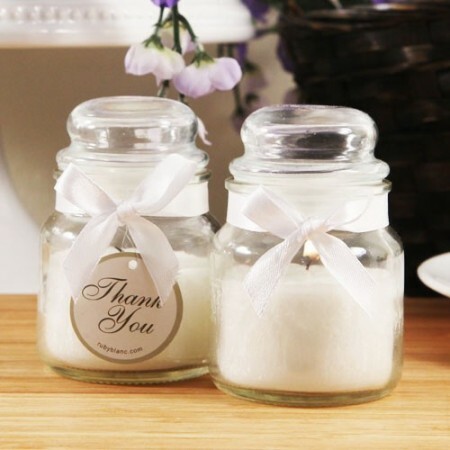 Each jar features a complementary organza bow that adds the extra touch of style.